Insurance for business owners - Humphrey, Covill, and Coleman Insurance Agency, Inc.
Fire Marshals recommend the following list of procedures to help avoid commercial fires. Have your HVAC system serviced periodically. Electrical panels should be a safe distance from flammable materials. Limit the use of extension cords, and there should only be one per outlet. Do not exceed the occupancy limits to ensure safe evacuations. Store flammables (liquid chemicals) in a fireproof cabinet. Make sure you have an adequate number of fire extinguishers ready and available. Be sure they are frequently maintained. Sprinkler systems, if you have them, should be unobstructed and have a proper water supply. Check your exit, emergency, and backup lighting. Be sure to maintain clear paths to exit doors and fire escapes. 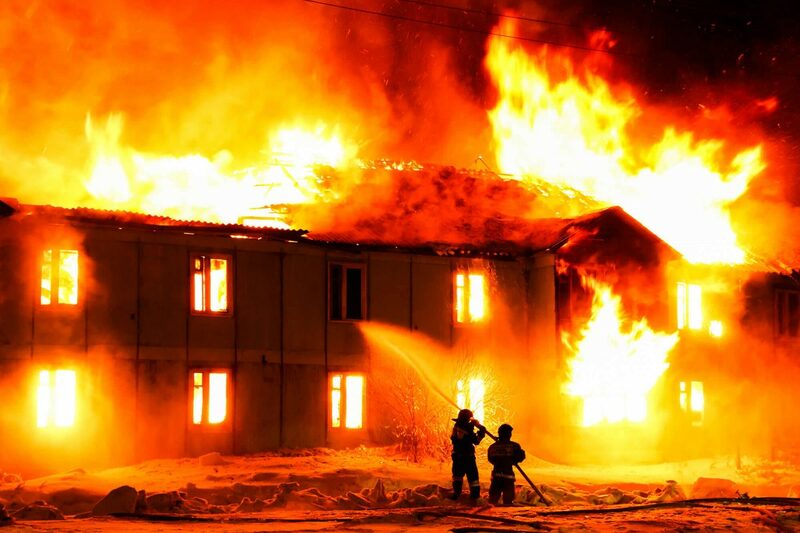 Commercial fires can be devastating to your business, not only financially, but can result in severe injury or even death to your employees, tenants, and visitors. If you own a business and rent space, be sure to check your policies. The businessowner’s policy covers your business personal property; this would include your inventory and stock and your furnishings. Check that you have adequate coverage to cover this loss. Do you know what you have in stock? Is your inventory up to date? How much would it cost to rebuild shelving, showcases, painting, flooring, lighting and other improvements and betterments at today’s values? What you paid years ago may not be adequate to rebuild or replace them today. Do you have coverage for your external signs? Who is responsible for the building glass, an optional coverage on many businessowners policies. 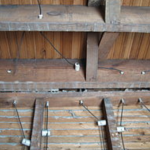 If you own the building, make sure it is covered for the full cost to replace it if it is a total loss. Your agent can help you determine this amount. One of the most critical coverages often overlooked is business interruption insurance. This coverage pays your lost profits and continuing expenses while you are out of business and making repairs to your store or office. Some policies put a dollar limit of coverage on the policy, while others pay on an actual loss sustained basis. If you have a dollar amount, be sure that it is sufficient to pay your lost income. Those bills never stop coming in! There are countless other property options on a businessowner’s policy including burglary, embezzlement, robbery, heating and cooling systems. Check with your agent to see if you have the proper coverage options. Does your policy cover fire legal liability? This coverage pays the building owner or other tenants if you cause any fire damage to the building and are found legally liable. Most policies only carry a $100,000 limit. This limit can be increased – be sure to check yours. Finally, there is the liability portion of your policy. The standard limit of $300,000 is not adequate these days. You can increase this limit up to one or two million and purchase additional millions on an umbrella form. Learn more about business owners insurance here. When was the last time you reviewed your businessowner’s policy? Learn more about Humphrey, Covill & Coleman. Owner included or excluded for worker's comp?